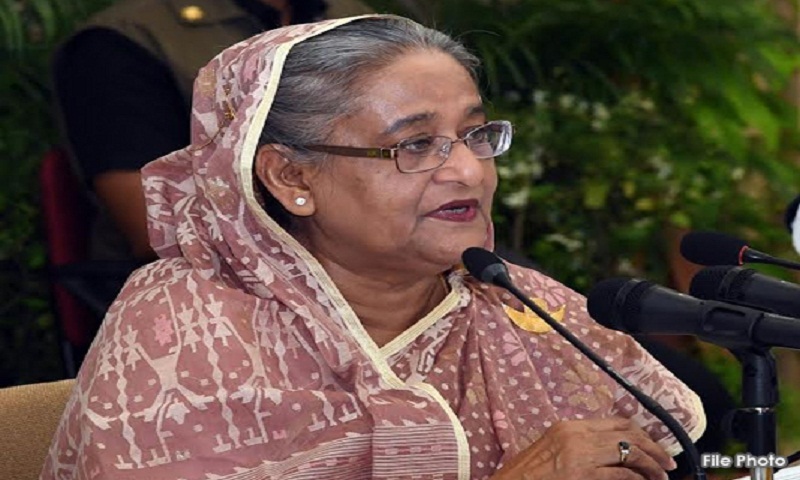 Prime Minister Sheikh Hasina today asked newly recruited civil service officials of administrative cadre to discharge their duties with utmost honesty and sincerity with a particular mission to keep society free from menaces like militancy, terrorism, drug and corruption. She reminded the young officers about the danger of militancy and drug abuse saying these two menaces could destroy a family which eventually affect society. “Our government has efficiently faced those hazards, but actions should continue in future as well,” the premier said. The prime minister distributed certificates among the course trainees, joined photo sessions with them and unveiled the cover of the magazines published by different batches. The prime minister also enjoyed a cultural programme performed by the trainees. Later she inaugurated the newly constructed administrative building of the BCS (Administration) Academy.